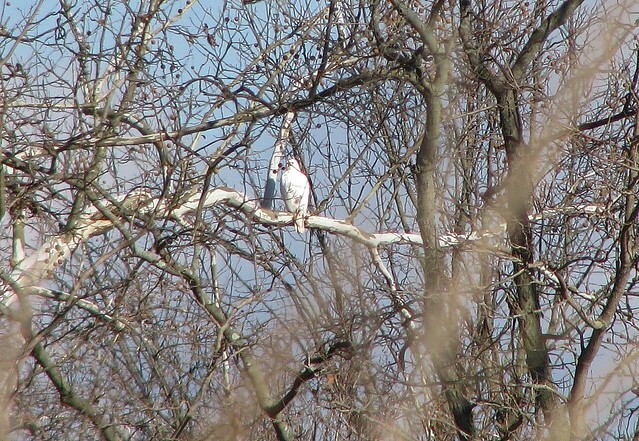 most likely a leucistic red tailed hawk. I saw this one out by Gettysburg some years ago. Really neat to see. Thanks guys! Def was that! Same posture and all. The one I saw was all white, with zero spots on it that I could see. Really awesome to see. 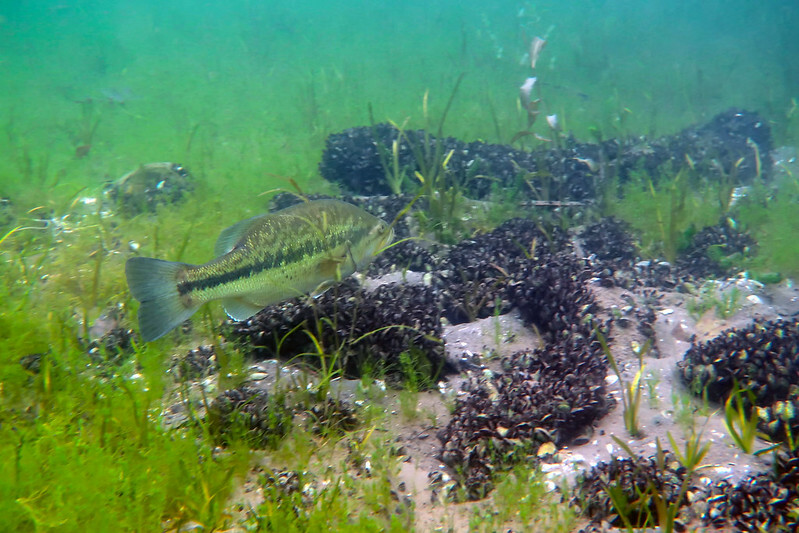 My son and I love snorkeling. 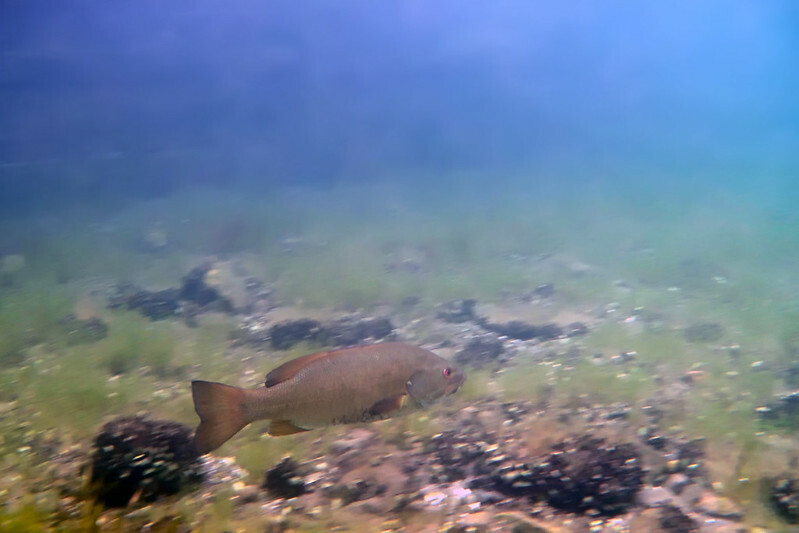 I picked up a waterproof case for my camera and am trying my luck at shooting fish in the lake. Took these today. 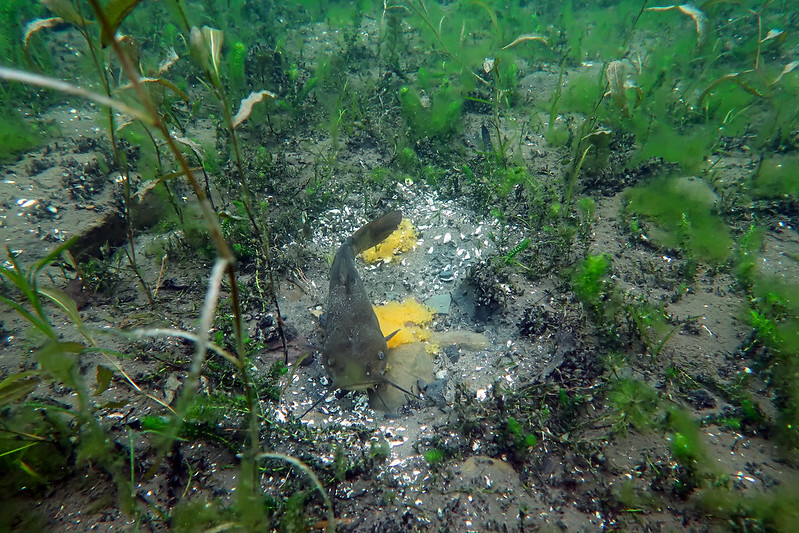 A largemouth bass, smallmouth bass and a catfish laying eggs. My wife’s cat caught one of these 5/6 years ago. Didn’t realize they were even around before that. I'm in Branchburg NJ between Flemington and Somerville. I would say the area is fairly suburban, but there are many farms around too. the family did some hiking in Gettysburg this Sunday. It was a beautiful day to be in the park. 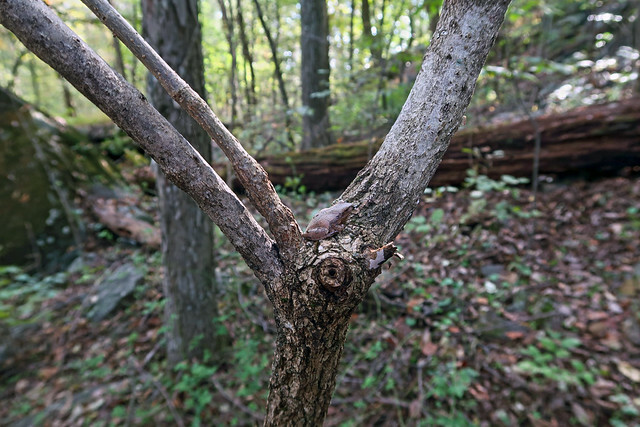 My son found a couple of spring peepers while we were in the woods. I'm always impressed with natural camouflage. 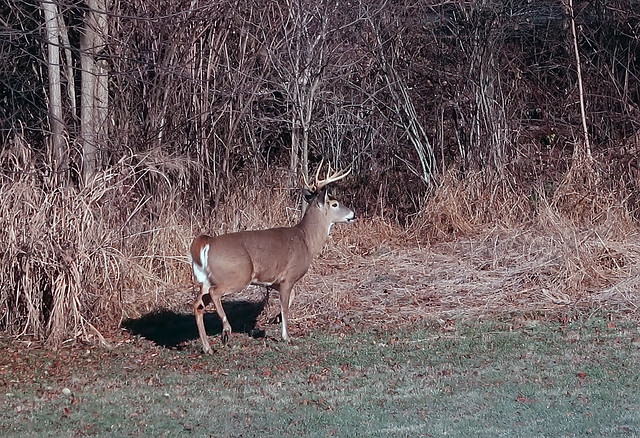 I've had a couple of Bucks hanging out in my backyard recently. They're not shy. 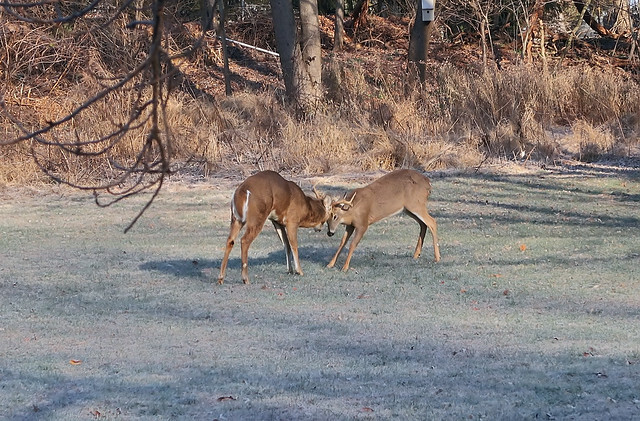 These two were munching on my bird feeders and sparring at 10:30am the other day.